After the bulb sockets in my car’s corner lights and the turn signal socket in one of my tail lights went bad, I decided it was time to replace a number of the exterior lights on her. I replaced everything except the headlights, which are the OEM units from the factory (I really like the OEM HIDs, so I see no need to swap them out). The first thing I replaced was my corner lights. 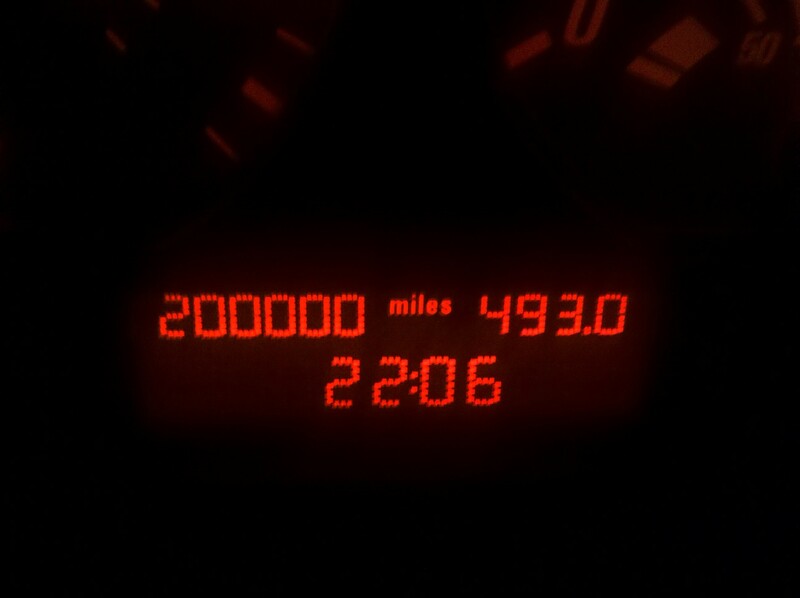 Last night Natalia hit a major milestone: 200,000 miles! This makes the 3rd car I’ve had to hit this point. Not everyone is a fan of seeing these sorts of things on their cars, but I consider it a point of pride that my car has gone this far and is still running like a champ. Who else has had their car reach 200k miles (or even higher)?